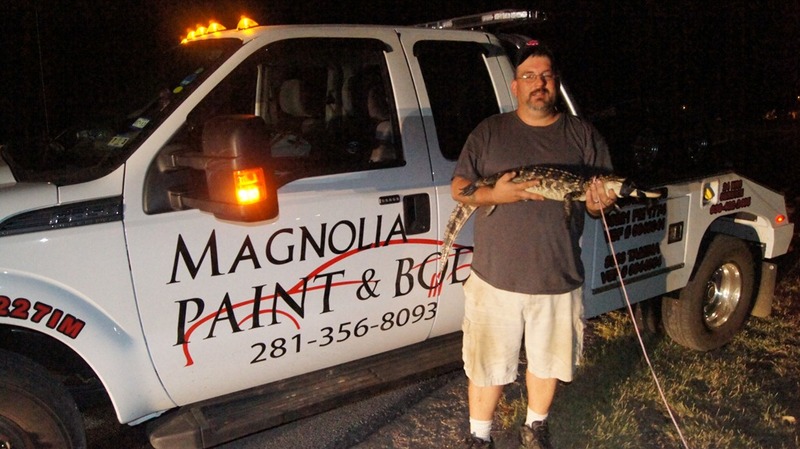 Just after 2 a.m. Monday morning Richard Wible, a wrecker driver for Magnolia Paint and Body was driving down Buddy Riley Blvd, when he spotted something moving across the road in front of the Magnolia main fire station. 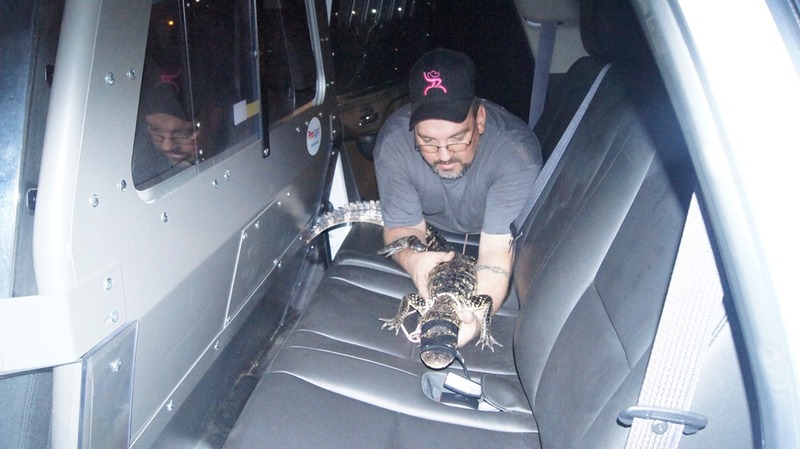 When he got out he found it to be about a four foot alligator. He notified Magnolia Police who responded to the scene. Wible was able to get a rope around it and tape both his eyes and mouth with electrical tape. 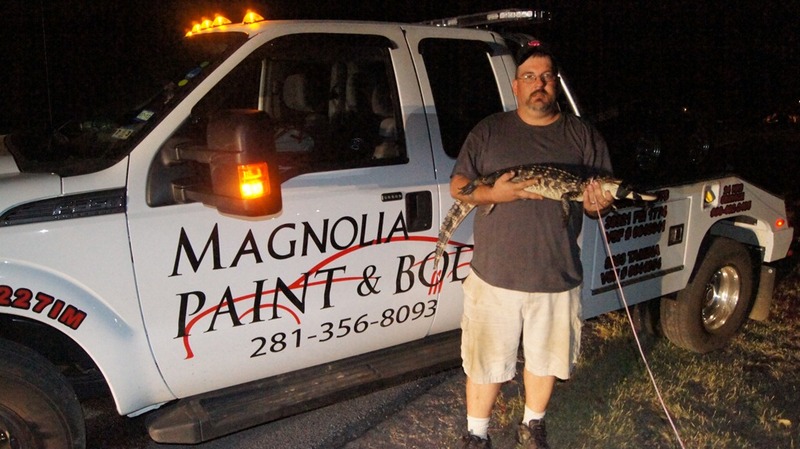 Texas Parks and Wildlife were notified and since the gator was already captured asked them to release it in a large undisclosed body of water in south Montgomery County where it would not be a threat to the public. As Wible, who had worked for the City of Annahuac before and was familiar with gators picked t up a loud crack was heard. 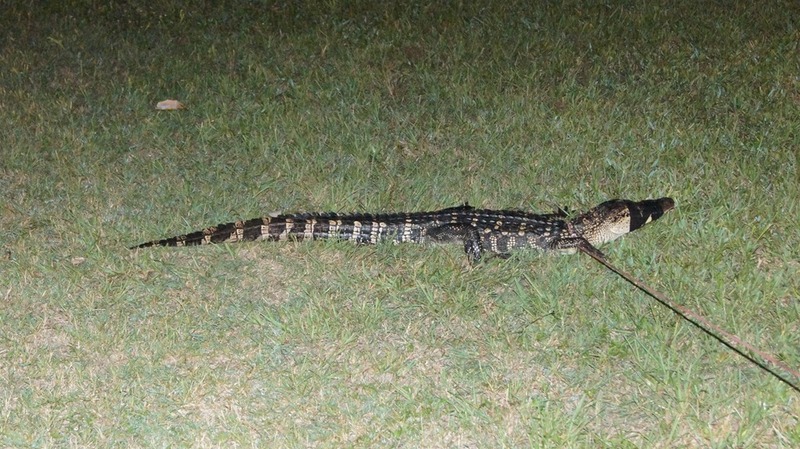 The gator was able to swing his tail slapping Wibble across the back which sounded like a professional baseball player hitting a homerun. 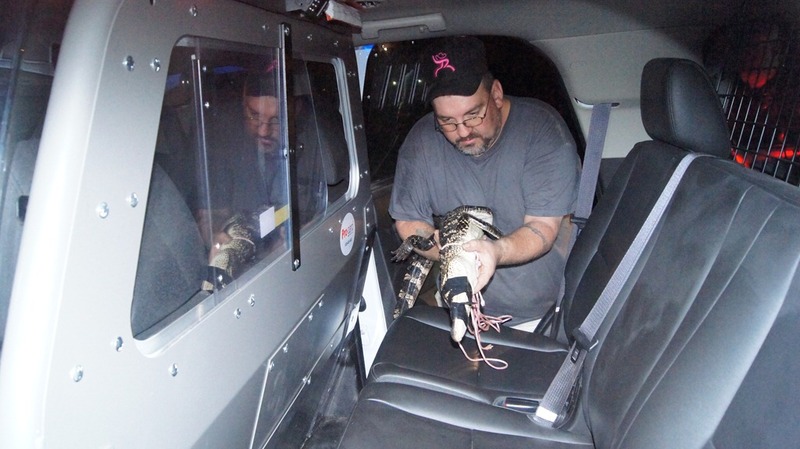 With the tail now under control the gator was loaded in the backseat of the patrol car and transported to the lake. 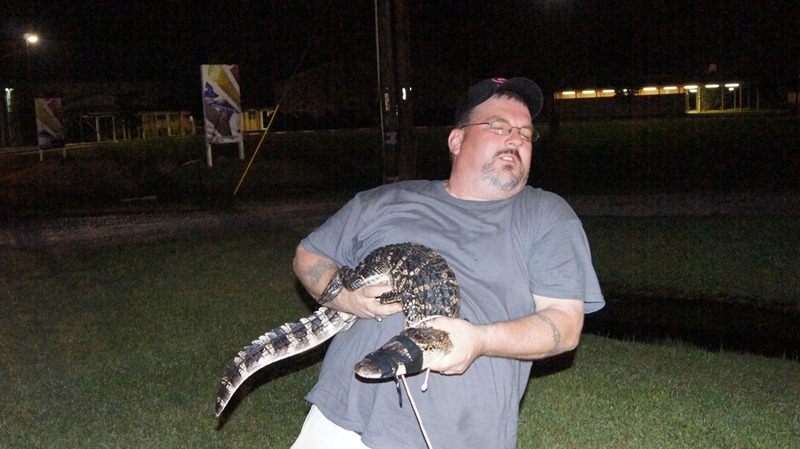 As one officer held its mouth, Wible holding the gator, the other officer was able to undo the tape. 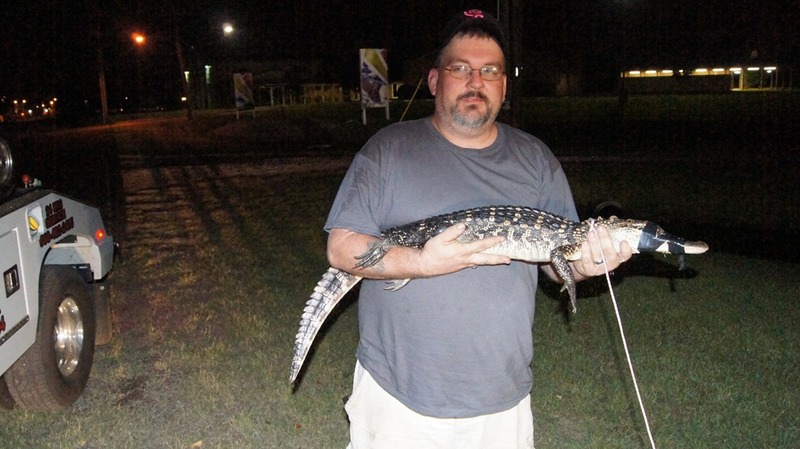 It was then Wible threw the gator into the water. 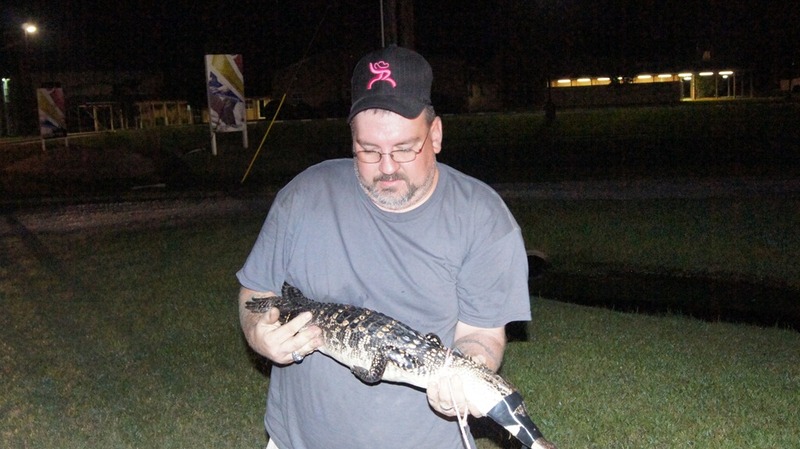 Since it was found on Buddy Riley they named the gator “Buddy”. “Buddy” lay still in the water a few minutes watching his captors then swam off. they should have given it to Zachry’s on Kingwood, could have made poboys !! Lalalalalala……Live Action!! This is better than the turtle man. I was concerned that they didn’t use enough tape. Someone could’ve lost a finger.